Ok, I know I probably just made you spit out your tea in disgust. And quite rightly, too. But the recent wafts of cold air have caused me to unintentionally concoct a few *whispering* Christmas ideas. I can only apologise. However, I thought if I went public with them on here then I can either spend December red-faced for reasons other than woolly jumpers and mulled wine or I can walk around feeling smug for reasons other than woolly jumpers and mulled wine. 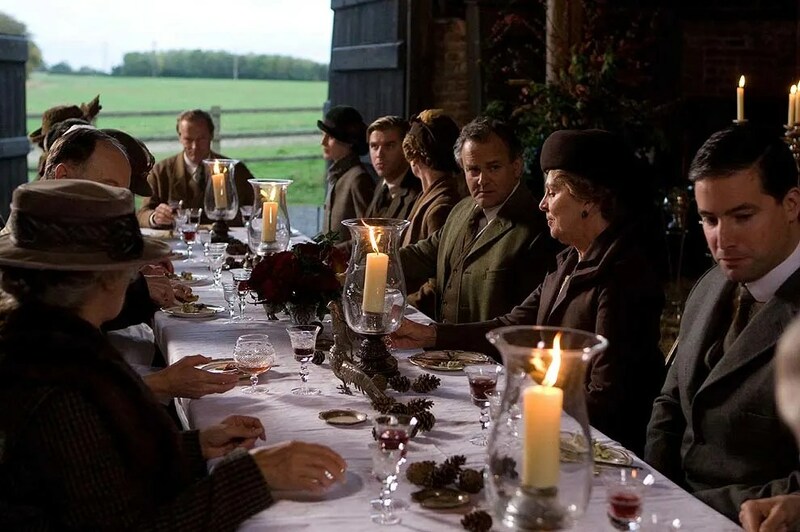 If you live in the UK, you may be aware that the perennially popular Christmas character-murdering series Downton Abbey is back this weekend. This decorating trend is much more downstairs than upstairs; think copper, candles and fir cones. Metallic surfaces and textures have been all over the place this year and I think this will be especially the case this Christmas, whether antique or super shiny. If you want to be really cool, mix metal with wood (if Tom Dixon did baubles). As much as I’m not convinced, graduated tones have appeared in every interiors magazine this year and I have feeling that Christmas will be no exception. 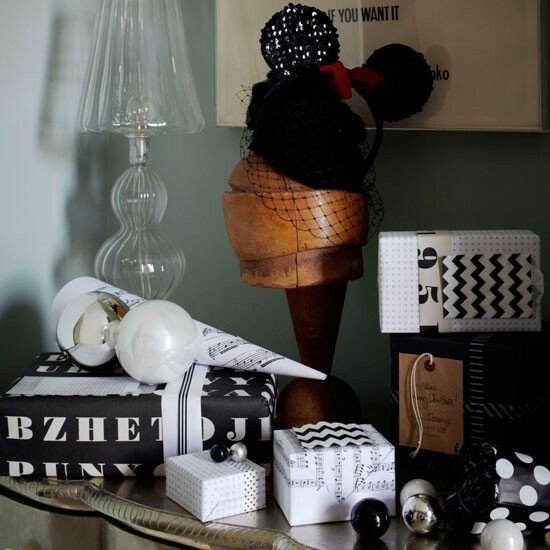 I did a monochrome Christmas decorating theme a couple of years ago (much to the amusement of my friends and family – apparently normal people don’t have themes) but monochrome is very popular in the fashion world at the moment. And for good reason, I think. Black and white is always confident, calming and considered. I do Christmas decor themes too! Recent years have included red, forest green and touches of powder blue, and more recently, red and brown – with loads of ornaments made from found objects like twigs and pinecones and all gifts wrapped in brown paper. Ooo the touches of powder blue sound good. I’m glad that, even if I’m not normal, I’m in good company!